“Prediction of Doom” has never fade out as time goes by. Periodically, there would be some people claim that the Earth is hurtling towards its mass extinction based on their religious or scientific beliefs, and then as a reaction to that, the others would build up fortifications, equipped with the defense to natural disaster and the weapon of mass destruction. Those people would cluster within the wall, isolated from the outside, and form communities as a result. Every eve before the claimed-but-yet-to-come doomsday, these communities might overthrow the given resource allocation rules under Capitalism by establishing their own internal regulations for resource-sharing instead. The most distinctive instances would be the invalidation of the existing currency and the readjusted symbolic system correspondingly. It seems that their hysterical conduct near the edge of insanity is demonstrating an effective way of rebelling against the existing society. ​This project attempted to establish a brand-new material exchange system within the existing one, and to make people reflect on the symbolic exchange system nowadays. 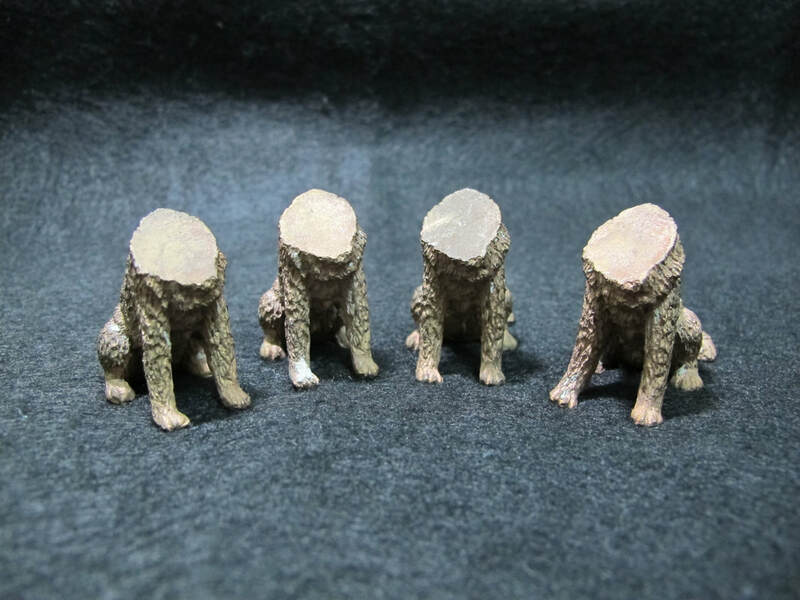 During the project, I bought plastic toy dogs in a grocery store, and melted the amount of New Taiwan Dollars coins equal to each toy dog’s price in order to make their metal copies. Since the specific weights of metal and plastic are different in the first place, these metal toy dogs turned out to be incomplete in shape. weight as the price of a metal toy dog. In this exchange game system I invented, I’ve asked the customer who bought the metal dog paying me with another “currency”—any materials at the same weight as the metal dog. In this way, I’ve managed to collect plenty of articles and looking forward to use them as the source material for the next exchange-system-related project.